We provide dependable dishwasher repair in Lodi, New Jersey. Our trained experts will repair all types and models. We will provide effective installation service as well. You can also schedule preventive maintenance. Since you rely on your appliance, we promise to take great care of it. Our techs are detail-oriented. We are attentive and focused on the smallest detail. Choose us first for dishwasher service. Our customer care specialists provide same day repair service in Lodi. We will arrive on time and eager to work. The problem will be detected fast. A budget-friendly solution will be provided in a timely manner. Our dishwasher technician will be friendly, respectful, and honest. We take customer service seriously. Our work is backed up by a customer satisfaction guarantee. Whether built-in or portable, dishwashers must be connected to the water supply. The built-in models must be hard wired into the electrical circuit. Our technicians provide both services for you. Our dishwasher installation team will install any make or model. And we are always careful, mindful, and respectful of your home. We will clean up our own mess. The unit will go through a quality check before we leave. Appliance Repair Lodi NJ does the job right. 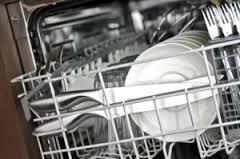 We are pleased to offer dependable dishwasher repair. This appliance uses many small parts. Our truck is fully stocked with replacement parts. Our tech knows exactly what problems to look for. We know how much you depend on this appliance. It gives you more time to spend with your family. We are devoted to providing fast and accurate service. Is your dishwasher leaking? Maybe it is making an unusual noise or not getting any power? Perhaps it is not washing the dishes effectively? Our experts will fix all these issues fast. Treat your appliance to the best Lodi dishwasher repair service in town. Call us today!